Saturday 9 August; Dare to Divine: How to Predict with the Tarot - a one-day masterclass in Tarot divination with David Goddard, author of The Sacred Magic of the Angels. Venue The Atlantis Bookshop, Museum Street WC1. Time: 11am to 5.30pm. Tickets £45. Bring a pen, notebook and tarot deck. To reserve a place contact The Atlantis Bookshop on 020 7405 2120. 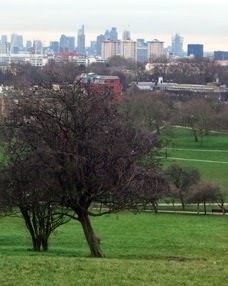 Sunday 10 August; Druidic Lughnasadh Celebration on Primrose Hill with the Loose Association of Druids. Gather in the Hawthorne Grove at Primrose Hill, London, NW1 8YH, between 12.30pm and 12.45pm to prepare the site ready for a prompt 1pm start. Nearest tube: Chalk Farm. Bring a small contribution of food and drink to share. All are welcome. Tuesday 12 August; Drumming Circle hosted by Cobwebs N Cauldrons in Epping Forest. Meeting in the car park of the Miller and Carter Pub, High Street, Epping, CM16 5HW. Free event, for details and to reserve a place call 7786 328 908. Sunday 17 August; Dawn of the Oak. Pagan moot on the third Sunday of each month. Venue: Upstairs at The Castle, 34-35 Cowcross Road, Farringdon, London EC1M 6DB (near Farringdon tube). Time: 3pm-6pm. Sunday 17 August; Guided Herbalist Walk with Natasha Richardson run via Treadwell's Books. Venue: Chelsea Physic Garden. Time: 1pm - 3pm. 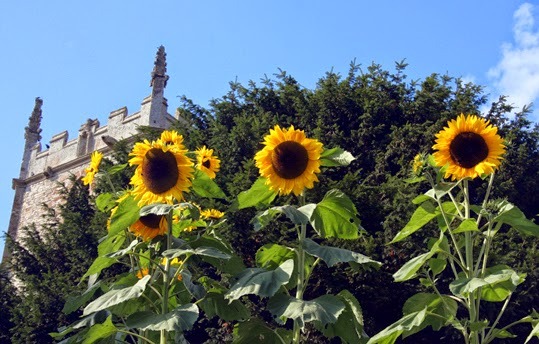 Cost £10 but you also need to buy your own admission ticket to the Chelsea Physic Garden (£9.90 adult full price, discount for concession). Book online via http://www.treadwells-london.com/ or call 020 7419 8507. Sunday 17 August; Walking Tour: Occult London with Delianne Forget run via Treadwell's Books. Meeting place will be a central London tube station, details given to those who book. Time: 2pm - 5pm. Price: £10. Book online via http://www.treadwells-london.com/ or call 020 7419 8507.